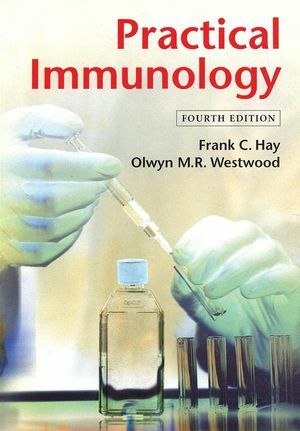 Practical Immunology is a basic text aimed at immunology students and researchers at all levels who need a comprehensive overview of the methodology of immunology. The rapid and startling innovations in immunology over the past two decades have their root in sound experimental practice and it has always been the aim of this book to educate researchers in the design and performance of complex techniques. It will appeal to students of immunlogy, graduate students embarking on bench science, or specialised immunologists who need to use an immunological technique outside their sphere of expertise. The definitive lab "bench book". Techniques explained from first principles. Basic forms of apparatus described in detail. Totally revised with new user friendly layout to aid use in the lab. Includes useful hints and tips. Frank C. Hay is Emeritus Professor of Immunology, St George's University of London. Olwyn M.R. Westwood is a Professor of Medical Education at Brunel University of London. She is a reviewer for a number of medical and healthcare education journals and a Principal Fellow of the Higher Education Academy. Isolation And Structure Of Immunoglobulins Monoclonal. Antibodies: Production, Purification And Enzymatic Fragmentation. Immunoassay Isolation Of Cells Phagocytosies, Complement And Antibody-Dependent Cytotoxicity.